Is it true that citizens (Spaniards, Greeks, etc.) are lab rats upon which we can play socio-economic experiments? What has been the role of the European Union before the economic and financial crisis? There is only an exit to the crisis with a commons-based economy, a new way to understand politics and participation, etc. These movements are based on self-communication and higher rates of participation. And the difference between activists and non-activists are blurring, as participation comes naturally with being informed, providing and opinion and getting in touch with one’s peers. With this changing times, what is the role of traditional politics? There are concepts like “separation of powers” or “administration of sovereignty” that should be addressed carefully. So, before asking how to do things, we should above all ask ourselves why some things should — or should not — be done. Because, historically, constitutive democracy is an emancipatory process: it has provided more rights to the citizens than never before. Modern constitutions introduce the concept of the sovereignty of the people, which becomes very important in order to control power and its management. Although modern constitutions have improved empowerment and have evolved (positively) along the years, there still are some glitches that need being fixed: many times, constitutions are nominal (state principles) but are not normative (and thus require a deployment of further regulation). A good example of that is health, housing, etc. though they are mentioned as rights in many constitutions, they do not count as such if they are not reflected in positive laws (as it often happens). Consequence? Parts of the constitution are not applied. Another glitch is the difference between constituent power and constituted power. Constitutions are the manifestation of regenerative powers. But if representatives do not change their behaviours according to (new) constitutions, the constituent and regenerative power becomes but reproductive power. The glitch of the glitch is when representatives (the constituted power) are the ones that change or write the constitutions (the constituent power). This is a total contradiction in the very core of the concept of a constitution. Thus, there is a need to break (1) the nominal parts of the constitutions and (2) the hope or mirage that constitutions can be changed by the people but actually only constituted powers can do it. We need not fight for a reform of the constitution, but for a rupture. The qualitative leap between the 15M and the 25S is putting the stakes on the constituent power as the basis of a rupture against the constituted power — very much like many Latin American constitutions that were reformed or rewritten in the nineties. The constituent process is not the only exit, but it might be the best one. On the other hand, the constituent power is a power that many times needs fighting the constituted power; thus, many times the legitimacy of the constituent process begins with a clash of powers. There is a need for a transitional process that will not be “the” transition, but a real transition time that links the preceding constitution with the following one, where consensus have to be reached, and based on a deep democratic maturity. There are many political institutions that instead of disclosing democracy, they actually close it: only some specific actors are acknowledged as such and the rest of actors is set aside of the democratic process. Besides representative institutions closing democracy, mainstream media have lately proven unable to channel the public opinion. Same with labour union, that have shifted towards representing only a specific part of the workers. Last, but not least, the economic power, whose jurisdiction has escaped the area of influence of all other powers. [here comes a thorough explanation of the growing power of international finance, getting much bigger than any country’s GDP] The defence of economic and finance powers has become a political priority, with the Maastricht Treaty as the most significant “constituent” example. Summing up, while the economy is fully integrated at the European level, politics (or civil rights) are not so. Until a total parallelism is achieved, full democracy within Europe will be an illusion. The economic crisis made trust on politicians a difficult issue. The idea of Better Reykjavík was to use technology to get politics closer to the citizens, to improve participation, to boost public debate. The initial website gathered more than 100 initiatives that only Best Party (the party that ended up winning the local election) used and applied. And not only proposals were made, but there also was discussion and quality debate. Better Reykjavík opened in collaboration with the city of Reykjavík on the 19 October 2011, with a strong collaboration with the city council. It has been a success because there has been an active collaboration with the city government: 13 out of top 17 ideas are being processed by the city every month. People in the city have been made aware of the website through PR and marketing and feel that they are being listened to. The website is heavily connected to social media, which helped in providing lots of feedback. Most of the visits to the website come through Facebook. Better Reykjavík succeeded in inviting people to provide pros and cons for each issue discussed, a thing that was easy to do as points were separated so that discussions did not become too complex. And its the very same community the one that filters content and prioritises the proposals. Transparency is a total priority. The website also includes a secure voting system that worked both online and offline, with electronic ID or with username/password identification. A project recently included is participatory budgeting, but this is a very specific issue in participation with its own “rules”: people participate less, it requires more time, more information, more understanding of what is at stake, etc. Everything has contributed in settling the Better Reykjavík site as a structural tool in decision-making in the cityh. It has been used for financial planning, online debates, referendums, etc. at different levels of the local administration. The strongest asset is that helps people in making up their minds. All the software is open source and can be found at GitHub as Social Innovation. On the other hand, the software also operates as an online service as Your Priorities now serving the whole world and supported by the Citizens Foundation. A constitutional assembly of 20 was elected amongst 1000 candidates that presented themselves to the elections. All the meetings and proposals and documents (including drafts) of the assembly have been published online and, at last, the Constitution is being voted. Q: were there proposals that were not accepted by the administration? in case that happened, why was that so? what was the reaction of the citizens? Robert Bjarnason: when that happened, the government would explain why a specific proposal was not possible (usually lack of funds). A good thing about the platform is that people were treated by adults by the government, so the dialogue was serious, constructive and, above all, honest. Q: was the success the tool’s or the fact that the government was listening? How does one make that the government listens? Bjarnason: it worked both ways. Of course the government was willing to listen and to get people to participate, but also the open and transparent process contributed in making the tool much more binding. Q: when proposals get to the top, is all the population aware of that? Will they vote? Bjarnason: the website is widely used and everyone interested in local politics are aware. Voters range from 500 to 2000 citizens, which stands for 20-30% of active users of the site. But it has to be taken into account the people only vote for the things they care, and the website gathers all types of proposals. Most social structures of the industrial society seem inadequate for today’s problems. On the other hand, in times of change not only aren’t there many solutions, but existing solutions are far from being global or valid for all problems and contexts. Another big problem is that people that have lived in previous social models usually do not have the keys for transformation. Can we go forward with a de-constituent process that is followed by a constituent one? How will be build the required consensus? What is exactly the social conflict of the XXIst century? Is it capital? Is it the control of information? Of networks? Is it the control of the economic powers that are beyond the political power? How do we combine short-term solutions to daily problems with long-term, systemic ones? #yosoy132 #15m #ows #tahrir have implied more thatn 10 millino tweets in the last year. What is the impact of the whole set? What are the relationships between these movements? What is going to be next in these movements and in the very nature of these movements? The nature of YoSoy132 was quite different form the 15M Indignados, at least in its origins. The nature of YoSoy132 was quite different from the 15M indignados, at least in its origins. The movement originated in universities to fight poor democracy, but quickly grew outside of the educational environment and thus YoSoy132 International is like the assembly of the circa 70 assemblies that generated after the initial spark of the movement. YoSoy132 is a Mexican students protest that initiates when the PRI (Institutional Revolutionary Party) candidate Enrique Peña Nieto is haunted during a conference at a university because of denyal of human rights violation. After mainstream media minimize the impact on the image of the candidate labelling the students as a “few violent misfits”. The response of the students is a major, decentralized campaign, led by 131 students, stating that they are neither “a few” nor “violent misfits”. The result is that thousands of students support the initiative of the 131 by stating that they agree with them and that they are the 132 student. This movement has determined the development of the electoral campaign, the way students have been more engaged in politics, etc. It is important to stress the point that the movement did not only address the political parties and politicians, but most especially mainstream media and their lack of neutrality and ethics. The criticism against Mexican media powers was very strong and as part of a demand for more and better democracy. There is a deeper digital divide in Mexico than in Spain. In Mexico the usual way to diffuse (alternative) political messages is the bridageo, consisting in delivering leaflets in the underground or the streets. But YoSoy132 somewhat brought into the spotlight the power of social networking sites, and how they could bridge the Net and the street. Indeed, having an influence on the communication agenda was always one of the main goals of the movement. The movement YoSoy132 acknowledges the great wealth that the 15M movement generated by documenting procedures, sharing tools and opening their source code, analysing how people communicate and got engaged, etc. The 15M still is a good reference to be able to know the pace of things. And the other way round: all movements feedback one each other, as “Rodea Televisa” was an inspiration to “Rodea el Congreso”. If power goes global, let’s globalize the resistance. A similar analysis with Occupy Wall Street and the pepper spray incident also shows that what people talk about and what media show is closely related, but unlike what used to happen in the past, it is interesting to see that social networking sites are beginning to condition what ends up in the front page of newspapers. The relationship and mutual feedback between social media and traditional media is increasing, many times creating “transmedia” pieces of news that are originated in one platform and then is transposed to the other one, creating a dialogue across platforms and actors. The Occupy movement generated around it a group of researchers and communicators that focused on gathering and curating content about the movement, in order to record what happened, diffused it, and, above all, analyse it, like #OccupyData NYC or Occupy Research. Main things learnt: activists have learn new ways to mobilize and, more important, to communicate. Many citizens have seen new movements (and Occupy specifically) as new and fresh ways of engagement and of changing the typical political discourse. The movement has also acted as a bridge between collectives (immigrants, unions, etc.) that usually did not work together and that now are part of a same network, [added after numeroteca’s comment] though this bridging was not broadly achieved. The Arab Spring really is a regional phenomenon, not a collection of isolated/national unrests. There really is a collective conscience that transcends the boundaries of countries. The increase in the number of blogs since 2004 in the Arab World is exponential: from just some dozens to literally hundreds of thousands, many of them speaking one to each other about human rights and civil liberties. Of course, every country has its own revolution (or transition in some of thems), but the collective sense prevails. In the case of Egypt, even if now in a political transition, the revolution is still going on: there still are protests, there still are victims, there still are struggles to speak and be heard. There is a symbiosis between the fights in the streets and the fights that happen online: the street and the online world are not separate worlds. Indeed, one of the acknowledged flaws of the revolution in Morocco is that it has not succeeded in taking the streets. On the other hand, despite the fact that all the Arab revolutions are part of a bigger network and share a lot of knowledge (tactics, tools, etc.) there still is the feeling that a closer relationship and collaboration could take place. Added to that, the different regimes are also fighting back the movements on the Net too. And, still, one of the problems to be informed of what a network does is being part of the network. Kazeeboon’s channel on YouTube shares footage taken on the streets on protests and human rights violations. But these footage is taken “outside” of the Internet and shown in the streets, on walls, on the ground or even on people so that everybody (with or without Internet access) can see what has been taped. Technological infrastrucures have changed the landscape of participation and activism. There also is a new hacker ethic or hacker culture that promotes sharing, decentralization, openness, etc. Hacking is not based on an expectation of profits, but on personal pleasure or realization, on prestige and recognition: hacking is better understood in a gift-economy rather than a traditional capitalist economy. Hacking requires net neutrality and an open network to be able to realize its full potential. But is it the Network a common good or a private service? Depending of how the Internet is understood, different ethics apply and different ethics clash one with each other. Can hacking provide a new framework that is able to design (alternative) solutions for the economic and political crisis? How is the Internet born? It’s not the outcome of some amateurs, but the outcome of scholars, scholars trying the get the best of their powerful but underused infrastructures (regardless of the fact that they were directly or indirectly financed with military funding). And, in a scholarly way, technology, research, designs and results are openly shared. But little by little, and fostered by private investors, infrastructure and its open outcomes are increasingly privatised and released with different licenses that allow different uses and “ownerships”. One of these licenses is the GPL, that uses the hegemonic rules and practices to fight them back. The GPL and the way of working around the GNU not only provided new outcomes (i.e. an operating system) but also new ways of working, of collaborating, of distributing tasks. Low consensus: maximum consensus cannot be achieved; thus, practicality and the lowest common denominator is what applies. Running code: things are built upon practice, what is to be applied is what is been worked on, what is being actually coded and run. This way of working both fits the basic needs of a project and also that dissension can be redirected by means of forking a specific initiative or project. Forking (usually) does not mean splitting a project but actually multiplying it. [Txarlie implicitly recalls in software what in social movements is called as ‘do-ocracy’: activism by doing, not by representation.] The parallelism between free software and (new) (hack)activism is that decisions are taken in a decentralized way, there is no-one (but many people) deciding what initiative or project is being developed and carried on. In this sense, the 15M works as a free software project and the 25S as a fork of the initial 15M project. The big difference between the 15M movement (aka Indignados) and the Anti-globalization or Alter-globalization movement is having a strong link with the media corporations, so that the message can get out of the insiders, that outsiders to the movement can connect, be informed, understand or interpret the message, resend it, remix it, etc. When communication media try to explain the phenomenon of “AcampadaSol” (camps in the Spanish squares), they usually forget the whole landscape and context that leads towards Sol: AcampadaSol is not an isolated event, but the outcome of many micro-events and initiatives that had taken place before. A good explanation of the movement is Ciberactivismo: Las nuevas revoluciones de las multitudes conectadas , by Mario Tascón and Yolanda Quintana. We need to reflect on the new ways of activism and understand their new role and the role of the Net. And this is an urgent need if citizen movements want to fight back the attacks of governments and corporations to these new ways of activism. Hacking, new activisms, hacktivisms, etc. came up with new ways to circumvent or to hack the law and were able to raise improved ways of participation and protest. In reaction, legislative bodies are changing the law to prevent such circumvention, most of the times attacking not only new practices but the very core of some human and political rights such a freedom of expression or the right of assembly. Activists need to set up new tools to circumvent the anti-circumvention laws. Society needs no new elites, but distributed and decentralized power. Society needs more hackers, but not technology hackers, but “society” hackers. Francisco Jurado: Why hacktivism? Why going against the system and not contributing to it? Txarlie: The traditional creators of content, of information, of knowledge (e.g. the academia) are no more able to be the only engines that empower the society. So, it is not exactly a matter of going against something or someone, but contributing to the work of the institutions… despite they wanting it or not. Carlos Sánchez Almeida: sometimes, though, some things need to be fought as they directly attack some human rights or some tools that enable the practice of some humand rights (e.g. P2P technologies). Marga Padilla: what is the difference between activism P2P and activism Free Culture / Creative Commons? P2P is more based on protocols, on sharing initiatives, and Free Culture / Creative Commons activism is more based on creating more content, more information, and sharing and diffusing it. Q: What exactly is the Internet? Does the definition determines what is cyberactivism? Txarlie: Internet is a network of computers. The problem is that over this network there are sub-networks that often isolate themselves from the rest of networks. So, when we talk about the Internet we should talk at both levels: the physical network and the logical or social sub-networks that coexist within. Almeida: Internet is a constitution written by hackers, and the Internet is a neutral network: a neutral network lets all bytes flow equally. Q: Why hacktivism is many times not proud of its own actions? Why anonymity? Why not “full” civil disobedience instead of a rough approximation to civil disobedience? Txarlie: this is not a decision that an individual can take, but that the whole collective have to agree upon. And, at the moment, it seems like collective action on the Net is easier to do this way. It is not a matter of shyness or hiding, but a matter of efficacy (or so perceived efficacy). Almeida: we should differentiate hiding and anonymity or “not full” civil disobedience, from unfair laws and how these turn some legal actions into illegal ones. But, of course, civil disobedience has its consequences and hacktivism has to acknowledge them. Ismael Peña-López: are we fostering hacktivism or rather cracktivism? If a hacker is someone inside the system and a cracker someone trying to (violently) enter it, are we really trying to change the system from within or to crack it? Where are politicians and parties and NGOs and other institutions in this hacktivism or activism from within? Or is it rather cracktivism? Txarlie: most cracking is useful for hacking, so sometimes there is a need for a prior cracking that enables the hacking that follows. Some institutions need to be cracked first so that then the insiders can hack it from within. Almeida: the best insider is the one that hacks and builds bridges with the outsiders. But this hacker-insider has to assume that they will often fall into civil disobedience and acknowledge the consequences… which they usually don’t. We do not want a switch of elites, but a transformation of the system. Q: is it fair to use private tools (e.g. Facebook) for hacktivism? Almeida: it is fair because it is the best way to contaminate the system without the system being able to disable it. On the other hand, there is not a single tool for hacktivism, but a toolbox, with several tools to be used at different times and scenarios. Q: what are the technological and economic requisites of hacktivism? Almeida: activism has to fight against the monopolies of power: economic and political power. This means that (1) activism will never fight in equal conditions but (2) activism does need some economic and political resources ( armies march on their stomachs , Napoleon). It is very important, though, that these resources are transparent and accountable. Q: the new constitutions that have to be written, shouldn’t they focus more on the procedures and protocols rather than on “content”? Txarlie: opening procedures and protocols is crucial in activism. But content is also important: if there is nothing “constituted” before a “destitution” process, the outcome of such process can be a worst situation than the former. Almeida: more than protocols and content, decision-making has to be very agile, transparent and executive. This is the way to keep constitutions simple but effective. And this includes a good judicial power, efficient, independent, legitimated. In recent years there have been social movements that address the lack of representativeness and legitimacy of their politicians and governments. Institutions have been emptied of content. It is not that democracy has ceased to be “democratic”, but many citizens believe so, which is a serious issue. And that is why many citizens look for alternative and more effective ways of participation. So, what we are witnessing is not a minor protest, but a new pattern of behaviour that leads to change. Change of institutions and forms of institutionalization that should lead to new ways of decision-making that affects people’s lives. It is not (only) about building a new future, but about fixing our present. And it is not (only) about finding new ways of participation, but about designing new democracies. We should be able to tell the difference between the actual mobilizations that imply occupations, fights with the police and some times some violence, from the ideas that boost these mobilizations. There of course is much debate and disagreement around the way mobilizations take place, but the consensus arises when the debate focus on the reasons and foundations of the mobilizations. What forms of activism and mobilization in the public space can be carried on so that they affect the public agenda, real politics and decision-making? And this is the field of experimentation that we are witnessing. And what happens when the red line of violence is trespassed, as it implies the death-sentence of the movement. This is what is at stake and it is very likely to intensify until it finds a solution. Protests in the Internet have their own specificities, fights in the Internet work, if not different, with their own rules of the game. The Internet can be experienced in many ways depending on the interests that drive action on the Net, interests that are often opposed. Ambiguity is, thus, the very nature of the Internet. If a device can work in many ways and its not physical, it cannot be controlled. The Internet, and the messages that go through it, cannot be controlled. Last, a very specific thing about the Internet is that we have its code, we know how it works. What is then at stake is (1) how to control access to this virtual space and, as a consequence, (2) how to control access to virtual goods that are not scarce, that can be freely and costlessly distributed and replicated. Wikileaks presents a paradigmatic case of ways to attack the freedom of speech in the Internet, taken as a separate space from “reality”: while Wikileaks was haunted all along cyberspace (attacking their hosting services, their domain names, etc. ), newspapers publishing Wikileaks’ documents were not attacked. Why was that so? Was Wikileaks more dangerous on the Net that on paper? Or was it because of the nature of the Internet? One of the explanations is that while newspapers are usually national and politically-biased, Wikileaks acted internationally, with no political-bias, attacking the core of governments without a political agenda behind (did not want to substitute a government by another, which would have been understood as “fair”), it provided raw data and not just interpreted or mediated information. Wikileaks is an unfinished device, it needs a solidarity network that “completes” what Wikileaks is providing. Wikileaks contributes to the commons by resigning control. All other nodes in the network acknowledge that Wikileaks is providing wealth to the network, which is good in itself (despite agreement or disagreement on what is specifically providing). Providing content, networking, wealth, is of most value in a network. And it is that value that was attacked. On the other hand, the Internet is still seen as a lawless space, where the rules and law of the “real world” somewhat do not apply. Freedom of speech, the right to have a name or a website, etc. can be more easily attacked on the Net that on the flesh-and-bones world. Deep professional and technological knowledge. Deliberate ambiguity, confusion, comfortability with chaos. Decentralized information &mash; vs. centralized traditional independent news sources. Anonymous — a non-organization, with an undefined political goal — can be understood as the reply of the lack of (or violation of) human rights on the Internet. If governments and firms act illegally or a-legally on the Net, Anonymous will do tantamount from the approach of the citizen. Anonymous can also be understood as the result of the clash of two different rights: the freedom of speech, the freedom to access culture, and copyright. Aim of anonymization, in the sense of unselfishness. Castells labels the Zapatist Movement (1994) as the first informational guerilla: it used international media intensively to both diffuse their message and also to organize themselves around the message. The Battle of Seattle (1999) used for the first time the blog to organize and also diffuse their message. Iran lived unrests in 2009 against the election of Mahmoud Ahmadinejad where Twitter was broadly used as a tool to organize the protests. The Arab Spring (2010–), which witnessed how the message was co-built and co-broadcasted by citizens and corporate media. Others: Occuppy Wall Street, YoSoy132, etc. Sampedro ( Opinión pública y democracia deliberativa. Medios, sondeos y urnas . Istmo, Madrid, 2000) states that there are two different public spheres: the central one, where politics and media act, and outer or periferic public spheres that is where citizens act. The traditional scheme of a political sphere that affects media that affect the public sphere is intercepted by a new actor: the digital networks of communication. These networks intercept the message especially between media and the public sphere, but actually affect all levels and actors in the scheme. With the appearance of the new actor, both the Agenda-Setting Theory and the Gate-Keeping Theory are altered and have to be explained from scratch, now including the new actor. 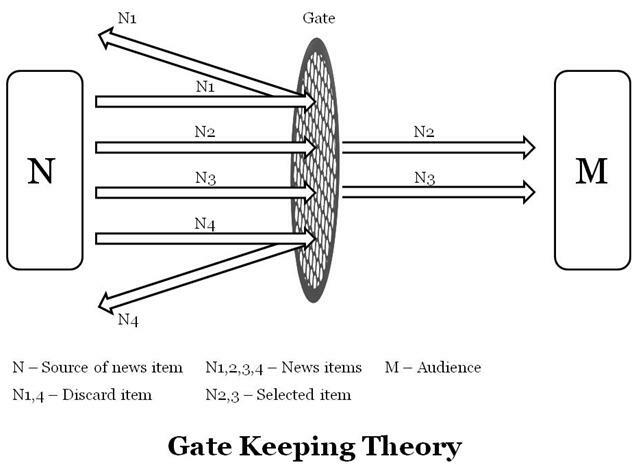 Media are transformed: from being gatekeepers that filter information they turn into gatewatchers that make it visible. Citizens hack local media and the official discourse of the government by aiming at international media and the international civil society. Q: People on the Internet may not suffer violence in it, but they definitely do outside of it because of their virtual actions. So, it is just partially true that there is no violence in cyberspace. How can this be counteracted? What is disobedience in cyberspace? Marga Padilla: the best way to perform disobedience is by hacking, that is, not going against the law on a straightforward manner, but circumventing it or even using it for one’s own purposes. Eduard Aibar: The decentralized structure of the Internet is it true or just an illusion? How can the Egyptian government shut the Internet down in a matter of hours? A: While it may be physically possible to shut down the Internet, alternatives to connect to the Net were possible. On the other hand, the social and economical impact of shutting down the Internet implied that shutting it down was not sustainable in the medium-term. Marga Padilla: the best way to avoid Internet shut-downs is the ability to have a plan B by creating mirrors, for which both knowledge and the physical layer are required. Any social movement should have a hacker in their lines: hacking should be in each and every political or citizen agenda. Some of the reactions against the 15M movement were expected — as the ones from the extreme right wing — but some others were unexpected, and nevertheless were as foreign, strange, surprising for the activists of the social movements. Several initiatives like #nolesvotes or Democracia Real Ya’s protests for May 15th (15M) became extremely popular in online platforms, with massive acceptance and viral communication and, notwithstanding, they would not appear on the papers. Why? Lack of belief that things would come to something real. That is, lack of belief that there would not be a transposition from online spaces to offline spaces. Lack of a press conference. Indeed, there were some, but were unattended by journalists. Avoid a call effect: if it appears on the papers, there is more likelihood of success. Thus, let us not air it. Phagocytosing of the topic by some journalists, that love being the subject of their own news , instead of reporting the real characters of the movement. After the 15M, some media begin to cover the events, but also to discredit both the movement and some of the more visible heads (or arbitrary so-called heads of the movement — which were not). Some of the things that have happened — and media still have to learn — is that lots lots of things have happened since 15M, there are lots of people involved, the movement is evolving… and nonetheless, it is still being ignored. We have to think of mass media as institutions that are evolving themselves, and sometimes it is this very same evolution or transformation of the media the most interesting event. Media are not mirrors of the society, but institutions that are part of it. And, as such, are actors worth being analysed too. We also have to deal with the 15M phenomenon in its context: the Arab Spring and the economic crisis. This is a global revolution due to a crisis of representation, of mediation: the mediation of governments, of trade unions, of media. What is a TV, a radio, a newspaper on the Internet? sections? a 24-hour cycle? Media have to become just the contrary of what they nowadays are. And journalists do still have a future — and a very bright one, indeed — if they stick to their core values: verifying the sources. But big journalism needs time, reflection, quietness. And the problem is that the pace of the new times is so fast that makes it difficult for this journalism to take its time. Media are in a deep and long transition. And not only because of the crisis of the paper vs. digital, and not only because of the crisis of advertisement. The economic crisis only implies more speed and depth, but the transition is not a consequence of the economic crisis. The nature of crisis of media is the divergence between old and new media. But conspiracies might not be the best way to explain what is happening, the reasons why media companies and most journalists are fighting against the unstoppable change. It has to be acknowledged that we are living in disconcert: we know what we are leaving behind, but we do not know where are we heading to. The Arab Spring was tweeted, but Twitter did not spark the Tunis or the Egypt revolution. Or Facebook. Or any other social networking site. The Internet was a valuous instrument, one without which the revolutions may have not been the way there were, but by no means the revolutions began on the Internet. The real challenge now for traditional media is to recover their lost reputation. Reputation, in an Information Society, is the only thing of value (information is free), and that is the capital that a journalist should take care of. There is a mutual lack of confidence between traditional media and digital or new media. And mutual understanding would be highly beneficial for both parties. We need to be more communication-literate to understand the new era we are entering. More and more things will be explainable in terms of communication, and thus we must know how communication happens, how it shapes people’s minds, etc. And traditional media have to learn too how the inner functioning of social movements. What is relevant is not whether a medium is traditional or new or digital, but who owns it, who is speaking through it. Related to that, another huge different is whether in a given medium sender and receiver are interchangeable or not. Can I be a sender and not only a receiver in that medium? This really makes a difference. Being a writer and not a reader, having a blog, is not only writing or having a blog, but changing your mindset: you are building your own reality, they are now aware of their possibility to create a reality. Communication autonomy is about building realities. But empowerment happens only for people that can actually be empowered, that is, people in the bad side of the digital divide, or socially excluded, are more difficult to reach by empowering tools. And empowerment comes in detriment of (traditional) media. And traditional media usually fight this loss power, which indeed happened in the 15M. Manuel Castells: if there is something left to journalism, it is credibility. And there is a clear deadline for the disappearance of traditional media: the day all people now aged 60 or older are already gone. There is thus an unavoidable need for a transition, but this transition has to be smooth, with as less victims as possible. Arnau Monterde: the collective intelligence is transforming the way information is created and distributed, the way the sources are verified. Thus, it is very difficult to state that media-literacy is a personal must, because now the media are produced by the collective and collectively. It is the outcome of minor contributions that becomes a major contribution. Campo Vidal: there is a media bubble that is unsustainable, both economically and socially speaking. There are — in some fields — too much media (e.g. digital TV) and clearly overrated. Mesa V. Los límites de los medios de comunicación y la emergencia de la autocomunicación de masas a la era digital , by Ricard Espelt.